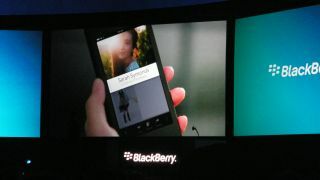 The new BlackBerry 10 operating system got its full reveal in Orlando at BlackBerry World 2012, which also saw RIM unveil a new developer toolkit for the platform. Research in Motion has big plans for its upcoming operating system, but is quick to note that consumers will demand high levels of quality content from launch. To address the demand RIM's new developer toolkit will allow application developers to build and test their apps ahead of the BB10 launch later on this year. The toolkit provides the BlackBerry 10 Native SDK with Cascades, allowing developers to create graphically rich, high performance native apps and it also includes support for HTML5 app developers. RIM has already signed up some key application partners and the developers claimed that they were able to get their apps running on BlackBerry 10 in a matter of days, and in just 24 hours in one case. Martyn Mallick, Vice President, Global Alliances and Business Development at Research in Motion said: "The level of enthusiasm among developers for BlackBerry 10 is amazing. "The platform has been built to give developers the ability to create amazing content and a great user experience." BlackBerry's AppWorld is seriously under-populated when compared to the huge Apple App Store and Android's Google Play – with the gap needing to be closed to entice more users to the BlackBerry platform.